At the Chesapeake Plastic Surgery Center for Cosmetic Surgery, tummy tuck is among the most frequently performed procedures. Tummy tuck is a term to describe plastic surgery of the abdomen. You’ve also heard it referred to as an abdominoplasty. When your abdominal skin is slack or droopy, and if your abdomen looks like there’s not enough muscle support, then a tummy tuck at the Chesapeake Plastic Surgery Center for Cosmetic Surgery may help you to put it all back together. When diet and exercise have not produced the result you seek, a consultation with Dr. Grenga will give you the opportunity to learn how an abdominoplasty may help you to achieve a more attractive abdominal contour. Many individuals tell us that “I have never had a flat tummy”. If that is the case, then it’s time to contact us for a consultation and learn how tummy tuck can restore a prettier abdomen. Among the most common causes for loose skin, stretch marks, or stubborn fat deposits is pregnancy. Whether you have had one, two, or more children, the effects of pregnancy can include a widened waist, a “pooch” of excess lower abdominal skin, or unsightly stretch marks. Usually, all of these can be treated with an abdominoplasty. The extent of improvement will depend on your skin condition to start with, the degree of muscle tone that you possess, and other factors such as smoking history, scars that are present on the tummy, and your tendency for healing. While no two individuals have the exact same shape or problems that require a tummy tuck, Dr. Grenga will show you to what extent you may experience a restoration of a more balanced figure and youthful abdominal shape. Dr. Grenga can perform a tummy tuck procedure at the same time that you have your hysterectomy, hernia repair, or one of many other abdominal operations. You should ask your surgeon or gynecologist whether it is feasible to have your tummy tuck while your having the other operation. 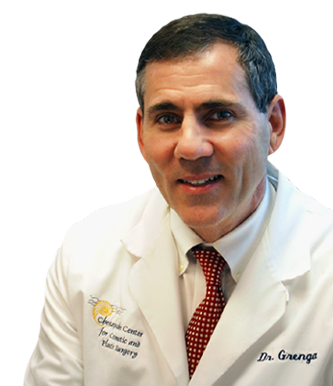 After your consultation with Dr. Grenga, he will discuss combining your surgery and an abdominoplasty with your ob-gyn or general surgeon. Our staff can coordinate the combined procedures so that you enjoy less “down time” while recovering from both procedures at once. If you have had previous abdominal surgery, whether it was a hysterectomy, removal of the gall bladder, or a hernia repair, chances are that the muscles of the abdomen are not as tight as they should be. If there are also fat deposits that just won’t seem to go away, no matter how much you have been exercising, then a tummy tuck may be what it takes to create the younger looking, more shapely abdominal contour that you’d like to have. After massive weight loss (if you have had a gastric bypass operation, for example) abdominoplasty can help to restore a trimmer abdomen. 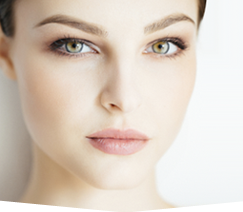 This usually requires the removal of accumulated loose skin, and to a lesser extent, muscle tightening and removal of fatty deposits that have not melted away after bypass surgery. Frequently, we will combine a tummy tuck after weight loss with liposuction, arm lift, thigh lift, face lift, or breast lift, depending on which other structures have drooped after the pounds are shed. Among the procedures that are frequently combined with tummy tuck are liposuction, breast enlargement and breast reduction. To learn more about abdominoplasty or to schedule your tummy tuck consultation with one of the area’s most experienced plastic surgeons, click here and you’ll be directed to our “Contact Us” page. Or, call today 757-673-5900. To view the American Society of Plastic Surgeons’ informative page on tummy tuck click here. Abdominoplasty is also know as a “tummy tuck”. Tummy tuck produces a slimmer waist and trimmer tummy.